Never underestimate a flood vehicle again. AutoSource is teaming up with IAA and professional race car driver Robb Holland to show the full potential of a branded-title Toyota 86. Donations from the race will go towards helping the State Firefighters’ & Fire Marshals’ Association of Texas. Follow along through video and Facebook. In the wake of Hurricane Harvey, Houston, Texas has done its best to fight off the effects of devastation on the community. Insurance companies were forced to declare close to a million vehicles as totaled. This was a catastrophe. There was no way to inspect every vehicle, which meant many of the cars didn’t harbor any lasting damage. Some never even got wet inside, yet were nevertheless considered worthless. 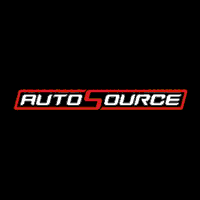 AutoSource, a Utah-based company that sells salvage title vehicles, has the distinctive ability to see setbacks as opportunities. On the hunt for the cream of the crop, they handpicked three thousand of the best of the Texas vehicles to restore. AutoSource employees immediately began to work their magic on the flooded cars, demonstrating their miraculous talent of turning water into wine. Perhaps one of the most notable salvage title vehicles was a 2017 Toyota 86, chosen by professional race car driver Robb Holland and purchased from IAA’s inventory. Preparing for his race at Houston’s Motor Speedway Resort on April 21st and 22nd, Holland teamed up with AutoSource to find a car with the potential to carry him to victory. Holland’s choice demonstrated a powerful confidence that salvage title vehicles have no problem in measuring up to the finest automobiles in the business. After choosing the ideal vehicle, it was time to get the car race ready. AutoSource took the responsibility of restoring the vehicle to its former glory and putting the car through their 151-point inspection. Due to the unique expectations of a race car, they took the vehicle to a workshop in Denver, Colorado, where a team gave the car some custom racing upgrades, including racing brakes, a new manual transmission, a required roll cage, and an intake system that would increase the horsepower. These improvements increased the value from an auction price of $6,825 to a whopping $58,500. As entertaining as the race will be, there’s a stronger motivation behind the project. Resolved to make a difference in Houston, AutoSource found a way to give back to the community. Holland shared how the race will help areas affected by the disaster. “The biggest thing is the fact that we’re doing this as a charity for flood relief in Houston, and that makes me really happy,” he explained.